The packaging of a product plays an important role in influencing one’s purchasing decision especially in the beauty industry. 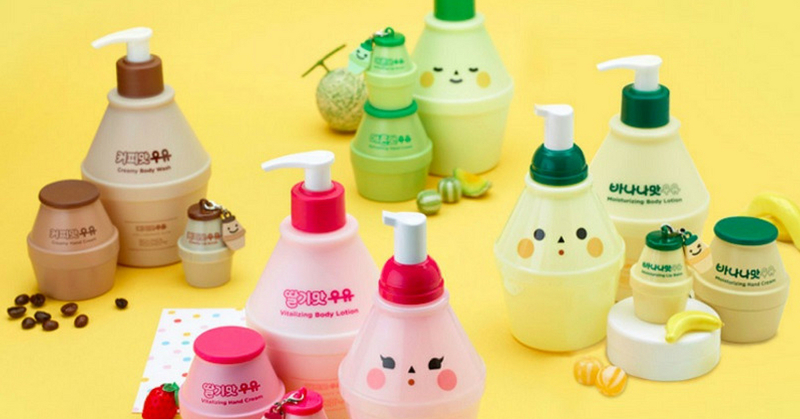 Admittedly, Korean beauty brands not only innovative with its product formula but also their cute packaging,making them hard to resist in the eyes of the beholder. Wine lovers out there will definitely fall head over heels with Chateau Labiotte Wine Lipsticks. The lipsticks not only shaped like a tiny wine bottle, even the name of each shades are inspired by real wine such as Shiraz, Sauvignon, Merlot, Sauternes, Nebbiolo, and Chardonnay. The colours are close to wine and it comes with a small tip brush for you to blend your lipstick. Amazing isn’t it? A few months ago, 3CE came up will a collection called 3CE Love which is inspired by our childhood makeup toys. 3CE wants to bring back that nostalgic feeling when we were younger. Remember how we used to play makeup as kids, wishing that it was real? 3CE Love brings us just that by realizing our childhood dreams. Pastel colors make the collection looks really pretty and cute especially with those shells and book. Pretty sure that you have heard of Binggrae Banana Milk. You should try it if you haven’t. This Korean banana milk is famous and people are nuts about it. Last year, they collaborated with a Korean beauty brand called Round Around. The collection consists of products such as hand cream, lotion, body wash and even lip balm! Not only all products come in banana flavor, they offer strawberry and chocolate milk too with the same packaging as Binggrae milk. So to all the banana milk fans out there, you can smell like your favorite drink too! How can someone not love bubble tea? Etude House knows there are many bubble tea lovers out there and came up with bubble tea sleeping pack. The sleeping pack comes in a cup with bubble balls just like a real bubble tea that we love to drink. You’d be tempted to drink it! Etude House Bubble Tea Sleeping Pack comes in three flavors with each of them giving a different effect such as Black Tea, Green Tea, and Strawberry. So, why not buy all? The packaging A’pieu use for their Milk One-Piece is the cutest thing ever! It is inspired by milk box carton. There are 7 flavors in total, with each of them giving different benefit for our skin such as White Milk (hydrating), Coffee (firming), Coconut (moisturizing), Green Tea (soothing), Banana (nourishing), Strawberry (brightening) and Chocolate (smoothing).